Although you probably won’t hear “intact” very often when it comes to grains (it’s not common on labels), it’s the best word I’ve found to describe them. 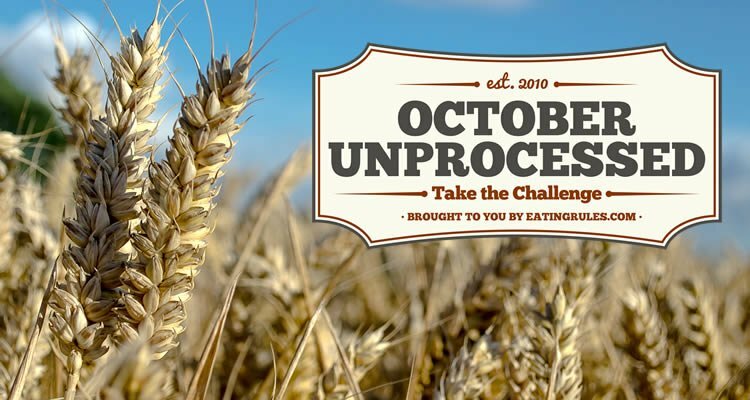 The idea is that it’s the whole grain, completely intact as nature made it — it hasn’t been cut, ground, or pulverized in any way. When you buy a bag of whole kernels of barley, wheat, rye, farro, kamut, spelt, teff… all that’s been done to it is that it’s been harvested, cleaned, and dried (and, if it’s not organic, probably sprayed with pesticides). You could do all that at home (though it’s probably not worth the effort! ), so those totally pass the kitchen test. Here are some of the things to watch out for on labels when you’re shopping for whole grain products. This is really just taking the grain and grinding it down even more, until it’s a fine powder. For it to be called “whole,” it still needs the bran, germ, and endosperm — though technically, it’s legal to separate all the components and then put them back together. In a previous October, Cassidy from Bob’s Red Mill shared a very informative post about flour — it’s well worth the read. By law in the United States, unless it’s certified organic, manufacturers are required to add back in some vitamins, because the refining process strips them out. In Canada, even organic flour must be enriched. Theoretically, you could grind your own grains at home, and then take the resulting whole grain flour and pass it through finer and finer sieves, until you’ve sifted out all the bran and germ, leaving just the light endosperm. You’d probably never do it, but in theory you could. 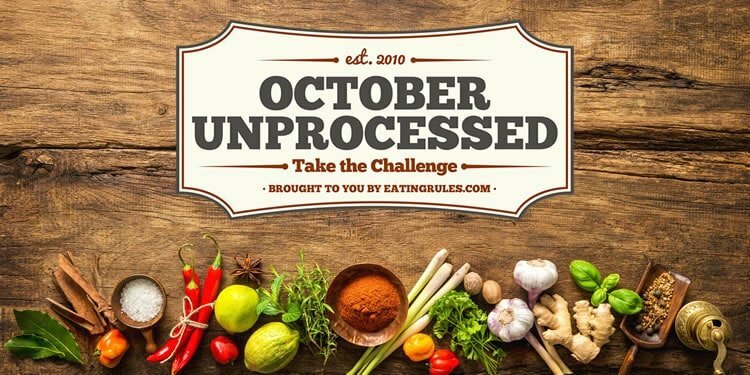 To bring this back to the Kitchen Test, then: Strictly speaking, “unbleached, unenriched flour” will pass the test. (That does not mean I’m suggesting you eat it.) But if it’s been bleached or enriched — two things you wouldn’t do at home — it doesn’t pass the test. This is very confusing. Most flour (whole or refined) these days comes from a species of wheat called “red wheat.” If you buy a bag of white flour, it’s probably been milled and refined (and bleached) from red wheat. However, “White Whole Wheat” refers to whole wheat flour that comes from “white wheat,” a different species. 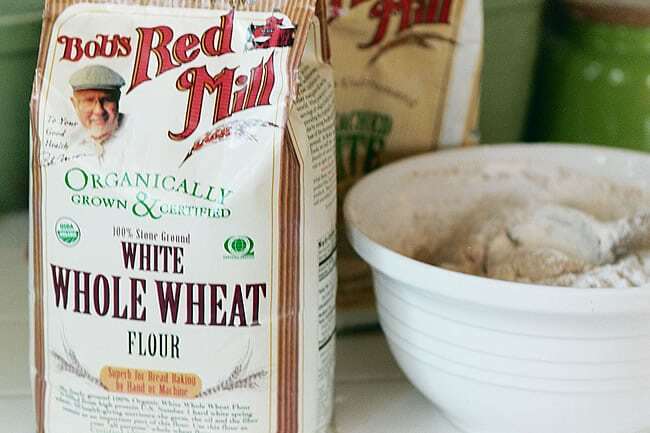 Recently, Bob’s Red Mill rebranded their “Organic Hard White Whole Wheat Flour” (pictured above) as “Organic Ivory Wheat Flour” – I’m guessing to help reduce some of this confusion. Matty and I prefer using White (Ivory) Whole Wheat Flour at home, because it’s a little bit less dense than the red wheat, so it makes a slightly lighter loaf of bread (or pizza crust!). Both Red Wheat and White Wheat have effectively the same nutrition, so that’s not really a concern. 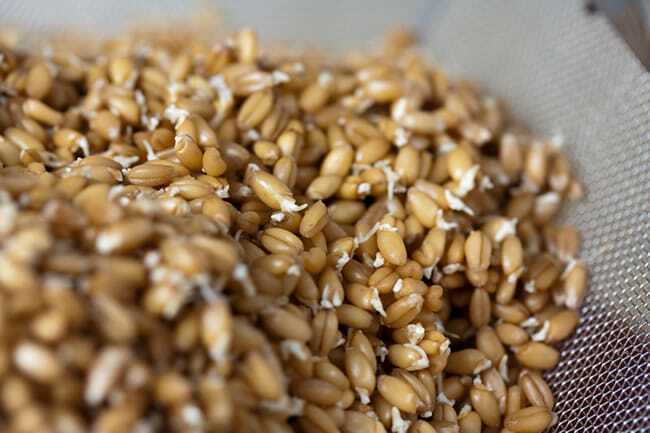 Grain kernels are actually the seeds of a plant–so sprouted grains are simply seeds that are starting to grow (nowadays, that means they’ve been deliberately germinated). They’ve become popular recently because they’re more easily digestible and nutritious. I’m not convinced there’s a huge health benefit–but I also don’t think they will hurt, and may indeed provide at least some benefits. I’ve also found that store-bought breads that promote the fact that they’re made with sprouted grains are more likely to be healthier overall and pass the kitchen test (such as Ezekiel 4:9 and Alvarado Street Bakery), so I usually pick those up from the shelf first. White rice is a common question — it’s basically brown rice that has had the outer layers of the grain removed, or “polished.” The question then becomes, can this be done at home, at least in theory? I found this forum post that shows someone doing it at home, and you can even buy a countertop rice polisher on Amazon (looks like they all ship directly from Japan, which sounds about right). I think the process is similar for pearl barley. So I’d say that this does pass the test… of course, from a nutritional perspective, I think we’re better off eating brown rice instead. While technically not a grain (it’s a “pseudocereal” since it’s not a member of the grass family), for our purposes it might as well be. Quinoa (pronounced “keen-wah”) is great stuff: high in nutrition; a wonderful, nutty flavor; and great hot or cold. Here’s how to make fluffy quinoa. 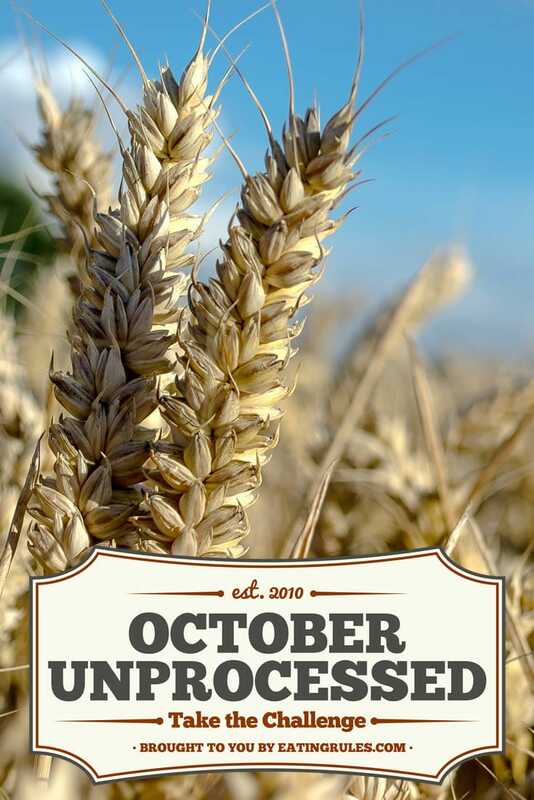 Carrie Vitt wrote a guest post during a previous challenge, outlining many of the gluten-free flours and grain-free flours that have flooded the market in recent years, so definitely go check that out if you’re wondering about those. 100% Whole Grain Flour and unbleached, unenriched flour both pass the kitchen test. Bleached and/or enriched flours do not. So read the labels, and eat accordingly! Did I miss anything? Let us know in the comments section below. Wheat © 2014 Brad Higham. 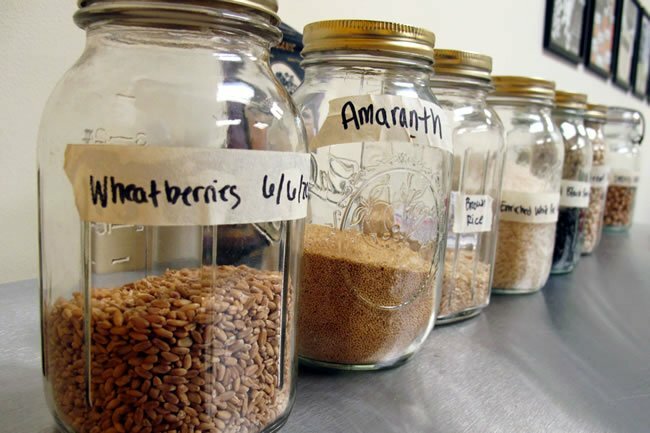 Jars of Whole Grains © 2014 Annie Corrigan/WFIU Public Radio. Bobs Red Mill Organic White Whole Wheat Flour © 2009 Sarah Gilbert. Sprouted Wheat Berries © 2010 Veganbaking.net. Can we talk about gluten free flours? Like brown rice flour, white rice flour, corn starch, tapioca starch, etc. that those of us who don’t eat wheat would be using? Interesting, as all of the gluten free products are far more highly processed than most wheat & grains. Curious to see the response to this. ditto, kate! i just began learning about that, myself, much to my dismay. what is a person to do?! We love White Whole Wheat Flour. It works as well as all-purpose. Apparently, Trader Joes has the best price. Out here in Wa state, TJ’s sells it for $3.49 a 5 lb bag. Not bad pricewise. I have ground & sifted my own wheat. The resulting bread was inedible. The birds wouldn’t even eat it!!! Oh noes! Any idea what went wrong? My advice on baking with home-ground flour (of any kind) is to look up what a cup should weigh, then weigh the flour, not using cup measurements. The flour tends to be denser and can really pack in a measuring cup, leading to dense, heavy breads. At least that is what I have noticed. I agree, Sarah. We’ve been grinding our own flour for several years now and ALWAYS use a digital kitchen scale to weigh the flour rather than using a measuring cup. A good reference is the Laurel’s Kitchen Bread Book – it even gives trouble shooting hints for those loaves that just don’t ‘work out’. Have you ever tried baking bread with self made sourdough? It`s true sourdough bread takes some time, but not your time. Sourdough is a bit of a loner, concerned with his own interests. So just leave him alone. Things will turn out perfect. Hi Andrea! I’m a big fan of sourdough, and have been nurturing a culture for just over a year now. I’d love your recipe for bread that works 100%. Thanks! I’m doubtful you’ll get this message since it is years after your original post. But if by some chance you do receive it, I’d love to get this bread recipe if you’re still willing to share it. I would love your recipe please!! When I ate grains; I would have to regrind the grains until they were very fine and make & use a sourdough starter. The bread was still dense but it was yummy. I was finally won over to whole wheat when I found the white wheat. It is so much better tasting and delicate. I grind mine from the berries 🙂 Excellent article!